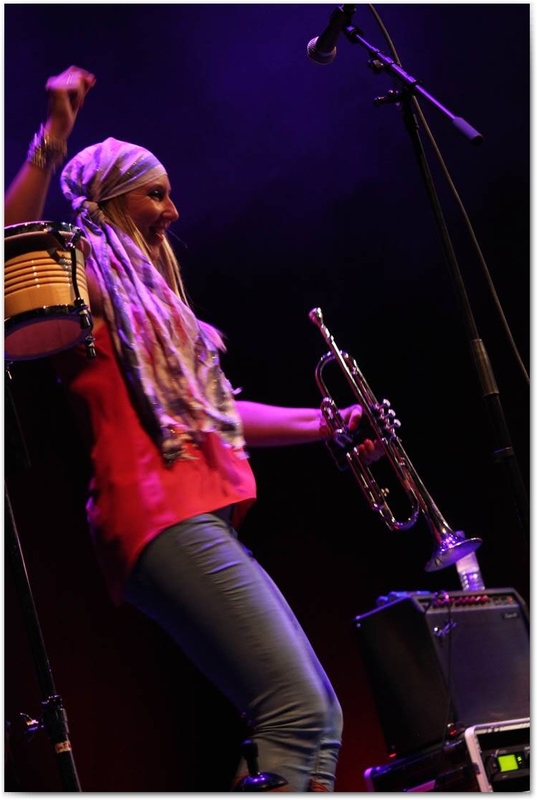 Auriol Kobani picked up a trumpet at the age of 10 and fell in love with music and performing. After graduating from music college, majoring in voice, she paid her professional dues first fronting a soul covers band, then going freelance as a solo performer. She was chosen to play trumpet at Roald Dahl’s memorial and for Wycombe Wanderers football club, and to sing in a production of Fiddler on the Roof at Wycombe Swan Theatre (also singing as part of the town’s Christmas lights ceremony). Meanwhile, as a dancer – another of Auriol’s many accomplishments – she has performed at such prestigious venues as the London Palladium and Disneyland Paris. 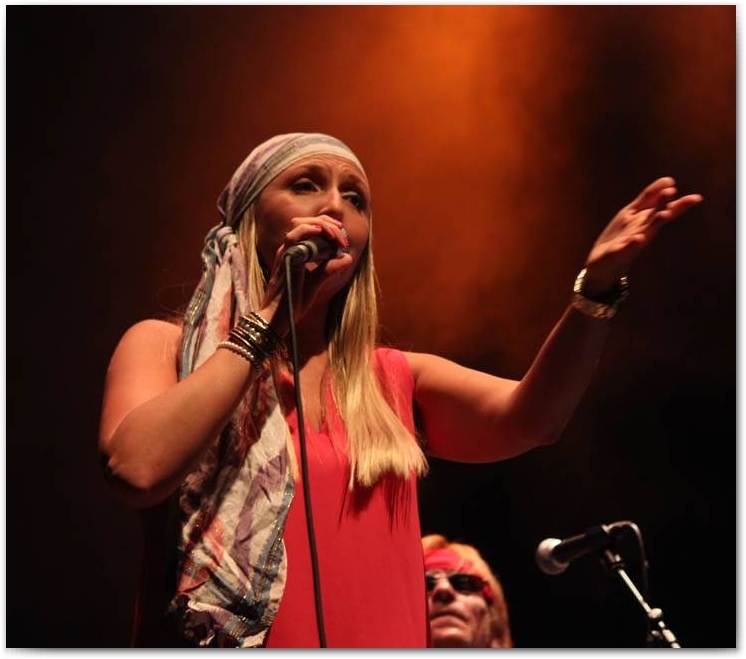 She joined Oye Santana in 2014, taking the lead vocal on songs such as Game of Love (a Grammy-winning hit for Santana featuring Michelle Branch in 2002) and Mas Que Nada, providing strong backing vocals elsewhere, and pitching in on trumpet for Smooth, Foo Foo, Migra and the like. And somehow she manages to cram all that in while still adding extra percussion and some cool moves on stage.